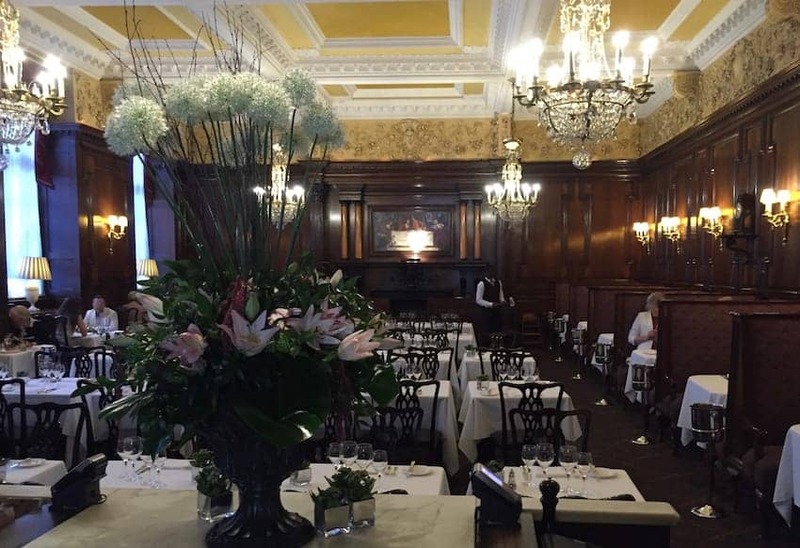 Simpson's-in-the-Strand is one of London's oldest traditional English restaurants. With its origin in 1828 as a smoking room, Simpson's became famous for its traditional roast meats and especially aged Scottish beef on the bone. The restaurant retains the tradition of carving from silver domed trolleys at the table. Other traditional British dishes served at Simpson's include potted shrimps and steak and kidney pie. The dining room is wood panelled and laid out in a traditional format with booths along one side. There is also an art deco cocktail bar on the first floor.